A quality non genuine air filter to fit Jonsered 2035, CS2137 and CS2138 chainsaws. Similar To Part No's: 530037793, 530 03 77-93. Part Number. ROTARY PART # 14758. FITS STIHL MODELS 031 & 032. ROTARY AIR FILTER ASSEMBLY. 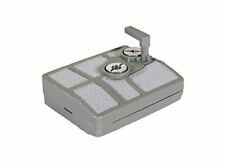 REPLACES THE FOLLOWING PART NUMBERS Kohler Expert Dealer and a. We are a Toro Master Service Dealer. THE K760 CONCRETE CUT OFF SAWS. 1 HUSQVARNA AIR FILTER. ALL OF OUR PARTS ARE MADE BY OEM FACTORIES. Brand New Air Filter For Husqvarna… · Air Filter · Fits Husqvarna Part #’s 578120601 & 506263401 · Fits Husqvarna Model 371K · Laser Part # 43086. NEW BBT AIR FILTER FITS ECHO PIPESAWS. REPLACES PART #A226000070. Husqvarna: 385, 385XP, 390, 390XP chainsaws. Husqvarna 537009301. Husqvarna: 537009301. Stens Air Filter. Width: 3 5/16". Brand New Genuine Husqvarna Air Filter.... Air Filter Genuine Husqvarna Part # 544805402 Fits Husqvarna 435, 435e & 440e Model Chainsaws Genuine OEM Husqvarna Part Please Note: Does not fit all specs of above models listed, please make sure this fits by model, type and serial number of your engine or equipment... We are an Authorized Husqvarna Crown Dealer. MS170, MS180, 017 & 018. SERVICE KIT TO FIT THE FOLLOWING STIHL CHAINSAWS. 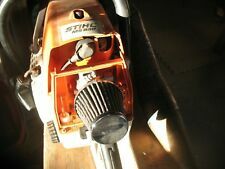 Stihl: 031 and 032. Stihl 1113 120 1612. Stihl: 1113 120 1602, 1113 120 1603, 1113 120 1612. Stens Air Filter. Fits Models. Fits the following models of Husqvarna chainsaws: 385 390 385xp 390xp. Air filter replaces OEM 537009301. NGK BPMR7A spark plug. Fuel Filter replaces OEM 503443201. Great DIY kit to get your saw ready for the season. 029, 039, MS290, MS310 & MS390. 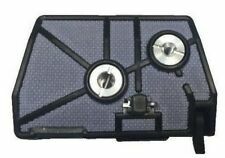 This is a quality non genuine fleece air filter and is suitable for the Stihl chainsaw models listed below. Similar to Stihl Part No: 1127 120 1620. The Small Print. THE K760 CONCRETE CUT OFF SAWS. 2 HUSQVARNA AIR FILTERS. REPLACES HUSQVARNA #S.
Brand New Genuine Husqvarna Air Filter... Air Filter Genuine Husqvarna Part # 544080802 Fits Specific Husqvarna 445, 445e, 450 & 450e Model Chainsaws Genuine OEM Husqvarna Part Please Note: Does not fit all specs of above models listed, please make sure this fits by model, type and serial number of your engine or equipment... We are an Authorized Husqvarna Crown Dealer. MS170 MS180 MS017 MS018. All Genuine Stihl air filter, fuel filter and spark plug with 100ml 2 stroke oil and grease for Stihl chainsaws. BPMR7A plug. 530057869 FLAT FELT AIR FILTER. FITS P3818AV P4018AV PP3816AV PP4218AV SERIES CHAIN SAWS. 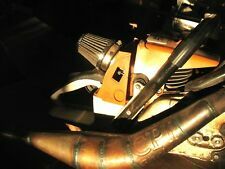 ORIGINAL OEM POULAN, HUSQVARNA, JONSERED, CRAFTSMAN. A quality non genuine Shindaiwa air filter fits Shindaiwa 269TS, 280TS, CS-2600, CS-260T, CS-265TES and CS-280TES. Part Number. New air filter fits Stihl chainsaw models 028, 028 AV, 028 Super, 028 Wood Boss. Replaces Stihl part number 1118 120 1600. Similar To Part No: 1125 120 1622. Part Number. Fits for Most Stihl 041, 041AV & 041G Super / Farmboss Chainsaws. 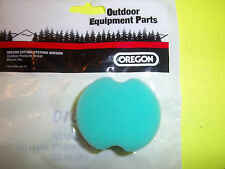 - New chainsaw parts, air filter assembly kit. 1 pieces Chainsaw Air Filters. Fits the following models of Husqvarna chainsaws: 570, 575, 576. Air filter replaces OEM 537207501. NGK BPMR7A spark plug. Fuel Filter replaces OEM 503443201. Great DIY kit to get your saw ready for the season. 537 01 47-03, 537014703. Proline® air filter for Husqvarna 385, 390 and Jonsered 2186 chainsaws. Replaces Husqvarna OEM #. This item was taken off brand new Husqvarna 390Xp chainsaw . All the parts are OEM. Any questions about the item email. Thanks for looking. 545 06 18-01, 545061801 ,for Jonsered CS2134, CS2134S, CS2138, CS2138S Chainsaws. This item is brought to you courtesy of JAPG MOWERS AND MACHINERY, based in Herefordshire in the UK. Just type in "JAPG MOWERS" into Google and you will easily find us. Proline® Hi-flow air filterfor Stihl MS261, MS311, MS341, MS391 chainsaws. Filter isNot made in china. 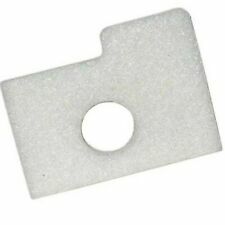 Replaces Stihl OEM # Suitable for the following Stihl machines Air Filter. 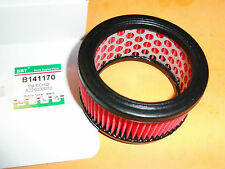 A quality non genuine air filter to fit the Dolmar 109, 109 Happy Start, 110i, 111, 115. Part Number. Similar To Part No: 395 173 020. Part number 501762901. 50 Rancher (1983-01). 50 Rancher (1983-11). Genuine OEM Husqvarna Product. Air filter for Husqvarna chainsaws. Fits the following Husqvarna models 51 (1991-10) (Part Two). Includes (1) air filter as picturedItem Specifications. 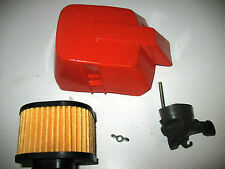 A quality non genuine Stihl Air Filter Housing Fits MS341 MS361 & MS361C. Part Number. ECHO / SHINDAIWA. CS 2511 TES. CS 2511 TESC. Air filter. 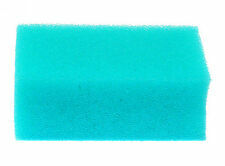 530057925 FLAT FELT AIR FILTER. GENUINE OEM POULAN, HUSQVARNA, JONSERED, CRAFTSMAN. Similar To Part No: 1122 120 1621. Part Number. ECHO / SHINDAIWA. CS 2511 TES. CS 2511 TESC. Air Filter Cover. Fits the following models of Stihl cut saws: TS410 TS420. Air filter replaces OEM 4238 141 0300. Changing cut saw filters frequently will save you on costly repairs because of dirt and debris intake. STIHL: MS290, MS310, MS390, 029, 039. Fits MS290, MS310 & MS390. STIHL PARTS. AIR FILTER Stihl 1127 120 1621 Air Filter. - STIHL: 1127 120 1621. We are glad to help in any way we can. feature and select the ?. Part Number: 507100251. Part Number: 25373. Part Number: 100251. Many have already confessed that is, and they now enjoy an unthinkable peace and great joy. During this life, is the only one who can save us from our sins. NEW UNIT WITH ADAPTER, COVER AND HD FILTER. XTORQ MODELS ONLY. 587930701 FILTER & 577633001 PRECLEANER. HUSQVARNA AND RED MAX. Red Max: BCZ230TS, BCZ2450, BCZ2460, BCZ260, BCZ2650. REPLACES PART NUMBERS.